Turas Press – additions to list for 2019 announced! 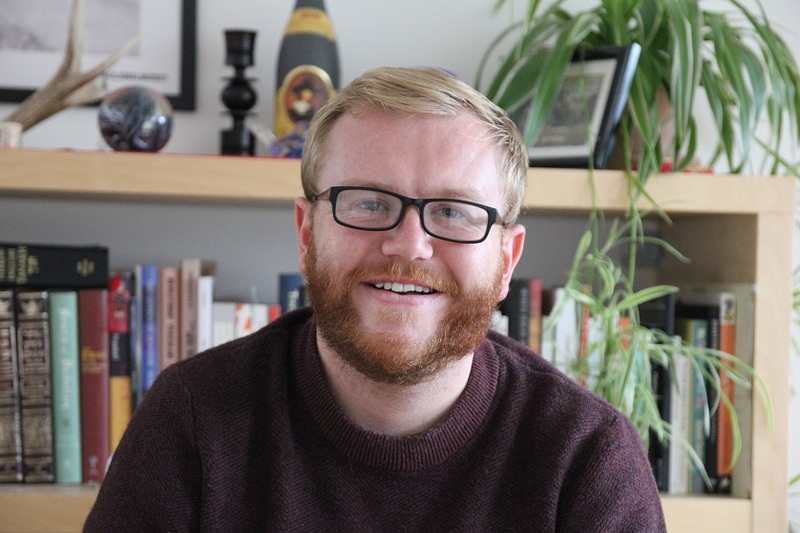 Turas Press is delighted to announce that two more writers have been signed to the Turas Press list for 2019: David Toms’ collection “Northly” and “Sad Havoc Among the Birds” by DS Maolalai. Although very different writers, both David and Diarmuid (DS) are hugely accomplished poets with an impressive track record of publication. Both “Northly” and “Sad Havoc” are imbued with a quintessentially Irish sensibility, yet are, in different ways, deeply influenced by the writers’ experience of other countries and cultures. David Toms hails from Waterford, spent time in Cork and in Prague and now lives and works in Norway. His previous publications include “Soma | Sema” (Knives, Forks and Spoons Press 2011), as well as several chapbooks including “For the Misanthropic Muse” (Default 2009), “Those Feet and Where they are Going” (Knives, Forks and Spoons Press 2010), and, with Maren Nygård, “dikt / actions osl / ondon” (Smithereens Press 2017). His poetry has also appeared in anthologies including Veersomes #004 (Veer Books 2015), The Elysian (New Binary Press 2017), Wretched Strangers (Boiler House Press 2018) and FREE POETRY: Ireland (Free Poetry 2017) edited by Ellen Dillon. “Northly” will be his first full collection to be published in Ireland. 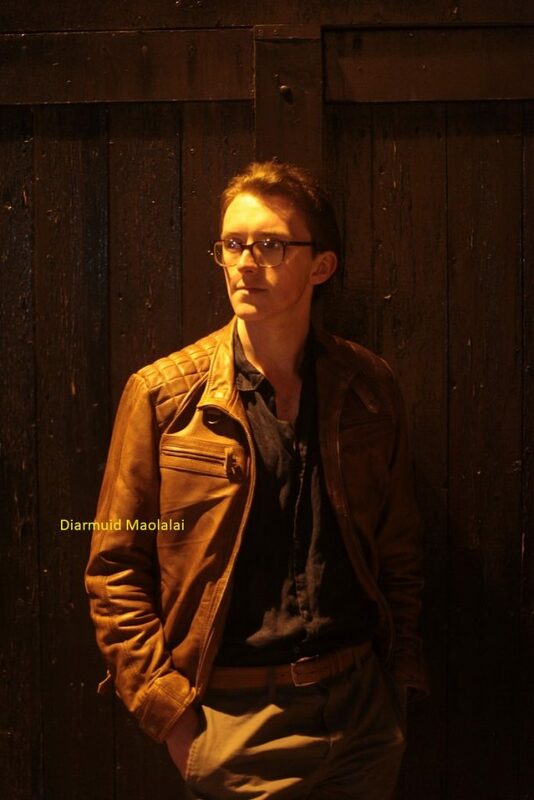 Diarmuid Maolalai was born in Dublin and began writing poetry when he was studying English Literature at Trinity College. He spent five years travelling, living in Toronto and London and working various dispatch jobs, before returning to Dublin in late 2017. His first collection, “Love is Breaking Plates in the Garden” was published in 2016 by Encircle Publications and described by Frank Montesonti as “done with such craft and immediacy that even the jaded are compelled to feel again the bewildering, blessed wind of youth’s finest mistakes”. Diarmuid’s work has been nominated for Best of the Net and twice nominated for The Pushcart Prize. Turas Press is honoured to welcome David and Diarmuid to the Turas Press team. Publication dates will be confirmed soon. “Sad Havoc Among the Birds” will come out in the spring, along with Eithne Lannon’s beautiful “Earth Music” while “Northly” will be published in early autumn. Watch this space! 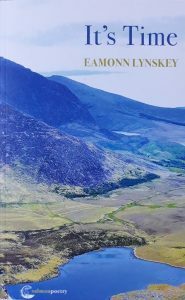 The title of Eamonn Lynskey’s third collection poetry, “It’s Time,” evokes a sense of meditation – on life, on the urgency of tackling our life’s work, whatever that may be. The reader expecting such reflections will not be disappointed. But from these fifty-two poems, the understated and ambiguous title unravels to reveal a tapestry of interconnected themes that are not only personal, but social and political as well. “It’s Time” is also a call to action, in the sense that ‘It’s time something was done about’ – what? In “Down to Africa” and “Lament,” the latter an elegy to the lost and disappearing life of the Great Barrier Reef, the poet casts his appalled gaze over the legacy of destruction and environmental degradation our human intervention has wreaked on nature. “It’s Time” is engaged poetry, imbued with great passion and compassion that smoulders, slow-burning, in the mind of the reader long after the “Final Notice” has been given. When Ross asked me to launch his third poetry collection “How To Sleep with Strangers” I was faced with a dilemma. His two earlier self-help books, “The Gentle Art of Rotting” and “Pretending to be Dead” had failed to deliver on their promise to help me rot with dignity, or fake my own death. So it was with some reluctance I agreed to read “How To Sleep With Strangers” and judge for myself if there was anything worth learning contained within its covers. The book is dedicated to Sarah Lundberg. 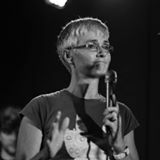 Many here remember Sarah and the tireless work she did within the artistic community. Her presence and absence stay with us. Her company 7Towers published 23 books in eight years, and Ross was one of those privileged to have her creative support and encouragement. She was his mentor and she was his friend. She is everywhere in the collection. There are 44 poems in here, all very Ross-like. What do I mean by Ross-like? Well, there are puns and word play and tankas galore. Lines are typically very short, and there’s no messing about with superfluous descriptions, though he does like a bit of repetition evey now and then. But it’s always to the point. Ross always keeps to the point. …to an amazing cluster or colony of tanka poems that all riff on Paua as power. A paua is a large shellfish that is very popular in NZ, both as food and as decoration. So we have “At the Paua table,” “The Paua of Love” and “The Paua and the Glory”, to name but a few. There are eight in all. Those of you now throwing your eyes up to heaven or panicking at the thought of Ross losing the pun of himself, I feel your pain, but fear not. The sequnce is quite brilliant and can handle the pun. There are also two poems tucked into the collection that display a disturbing lack of respect for the national treasure that is WB Yeats. Tsk.Tsk. And then there are the poems about love, life, and loss; those scary, arkward, intimate themes that demand and hold our attention, ultimately giving this collection its beating heart, its unique resonance and timbre. as well to fear the sky. So what would Homer Simpson have made of ‘How To Sleep With Strangers’? What insight would he have learned? Well, nothing and everything. If he were looking for tips on how to score at Copperface Jacks, he would need to head to another section of the book shop. But if he dared to see the stranger as himself, see that no matter how intimately he thinks he knows himself (“You wake up to realise/ there is someone in the bed/ who you don’t know, /no matter how long they have been there”) this book will shed light on the art of learning how to live with a self that is both familiar and strange, both intimate and distant, both grieving for what is lost, and embracing what has been given. Thank you Ross for the privilege of launching your wonderful collection, and a huge shout out to Liz McSkeane and Turas Press. It takes courage to write a book, and it takes courage to publish one too. Fifty years after the first Spanish publication of “One Hundred Years of Solitude,” Liz McSkeane reflects on Gabo’s most famous work and the magic of its journey into English. This slight transmutation introduces a few of the ingredients found in the vastly more complex process of recasting an entire work of literature in another language. Literal translation, perhaps supported by technology, might help with this; but it cannot do the job the way it needs to be done. The following reflections on the English translation of the work of Gabriel García Márquez explore the alchemy of translation as a multi-layered process that transforms base metals – the nuts and bolts of words and syntax and punctuation, seasoned with elements of their socio-cultural and historical contexts – into something that transcends words: that is, into meaning. Not science then, but magic. In the few years since his death in April, 2014 García Márquez has been eulogised and honoured as one of the greatest writers in the Spanish language since Cervantes. For more than three decades, since he was awarded the Nobel Prize in 1982, his contribution to world literature has been undisputed. Likewise, his status as one of the giants of the Latin American literary Boom of the 1970s and 80s, and especially as the inventor of the particular brand of magical realism he launched in 1967 with “Cien años de soledad”. In the thirty seven years since One Hundred Years of Solitude first dazzled the English-speaking world, it seems only fair to give a nod of appreciation to the translators whose endeavours offered us an Open Sesame into his work. More than this, reflecting on the processes by which Gabo’s work is recreated in English can offer a window onto the creative process itself – the translation of reality into art. The aim of translation, she insists, is “fidelity” to the intention of the author, to the original meaning and in order to penetrate that for the readers of another language the translator often has to abandon the literal meaning or precise structure of the original. It is easier to show how this works than simply to describe it, and so the next few reflections home in on specific examples of key phrases and their translations, as well as some of the suggested alternatives and challenges. Yet within this contested space, the creative process, both of the translator and the original writer, comes into focus. In fact, the “translation police,” assisted by their informer “Professor Horroroso” – Rabassa’s collective name for his most diligent nit-pickers – have had quite a lot to say about his work. The title of García Márquez’s most famous novel, “One Hundred Years of Solitude”, which tells the epic tale of the rise and fall of the Buendía dynasty and the town they founded, would be a good place to start. Immediately it turns out that finding a way to express the phrase “cien años de soledad” in English is less straightforward than it might seem. This is because “cien,” in Spanish, can mean two different things: “a” hundred, or “one” hundred. Which of the two options best captures the flavour of the original is open to debate. Rabassa justifies his choice of “one hundred” from his reading of the text. The internal dynamic suggests to him not just any hundred years, but a specific period, a particular epoch which encompasses the founding, flourishing and decay of Macondo. This may seem like a small point and indeed, it is not unusual to hear the book referred to as “A Hundred Years of Solitude”. However, these options give one example of how vocabulary and syntax can work in different ways in different languages, and also illustrate some of the ambiguities and uncertainties which the translator must resolve. A more general criticism which some commentators have made of Rabassa’s work concerns the tone. Sometimes, the register of his English, they say, is much loftier and more elevated than García Márquez’s Spanish, which in fact is quite direct and simple. Spanish is a Latin language so it is not surprising that many ordinary words in common use are Latin in origin. This is not the case in English, though, which is a mainly Germanic language with many Latinate borrowings, of course, and the liberal use of words of Latin origin tends to create a rather elevated, abstract tone. In relation to the title, Rabassa himself explained his choice of “solitude” for “soledad” as being the closest in meaning but English does offer other, non-Latinate possibilities, such as “aloneness,” “loneliness” or “being alone.” His choice for the title probably is the correct one, yet it is still interesting to wonder whether the overall register of the English text could be brought down a notch or two and take on a more down-to-earth gloss closer to the tone of the Spanish original, if some of the Latinate vocabulary were replaced by earthier, more concrete Saxon alternatives. That said, it is worth mentioning that whatever Professor Horroroso had to say on the subject, Gabo himself did not object and even declared that his work did so well in English because the translation was better than the original. Most elements of Rabassa’s translation of this sentence have come under the microscope of the “translation police” and a fair amount of nit-picking has ensued. The particular nit which is of interest here is Rabassa’s choice of the verb “discover” to convey “conocer” in the original. In Spanish, “conocer” means to “know,” in the sense of to be, or become acquainted with someone or something; as opposed to “saber,” which refers to knowledge of a fact, or the ability to do something. Colonel Aureliano Buendía is remembering the very first time he saw ice, how he came to understand its qualities, its essence, to touch it and feel its coldness: therefore, “conocer.” Given that the verb “to know” in English has various synonyms that can convey many shades of meaning, why does Rabassa select a completely different word which has connotations which are significantly wider and deeper than either factual knowledge or acquaintance? Perhaps it is enough to say that most of the obvious options available – such as “to know ice” or “be introduced to ice” or “meet ice” – although they technically could pass muster as perfectly good equivalents, in this context, simply do not sound right. This is a question of feeling, of how pleasing or jarring the phrase is to the native ear. Perhaps it is enough, then, that “to discover ice” simply feels, and sounds, better. However, there is another, crucial rationale: fidelity to the society and culture represented, to the world which the novel creates. The memory which Colonel Aureliano Buendía conjures up as he faces the firing squad is just one in a jumble of many, many other days when the travelling gypsies and their leader, and later the ghost, Melquíades, introduced his father and the townspeople of Macondo to the many fabulous inventions they had gathered on their travels: potions for various ailments and diseases, an alchemist’s laboratory, magnets, daguerreotypes, telescopes and flying carpets and yes, ice, with no boundaries drawn between the magical and the mundane. Later generations of Macondians, accustomed to the sight of flying carpets of former times whizzing past their windows, are unimpressed by new-fangled trains and decline to use them. Thus, it is only in the gradual unfolding of the rise and eventual decay of Macondo, as its characters, their experiences and their lives are variously called into being, then assigned to oblivion, that the core position of discovery in the narrative gradually takes shape. Scientific and technological innovations are recounted in exactly the same dead-pan, objective voice as the most magical and fantastic of phenomena, unquestioned internally by the characters and, therefore, equally accepted by the readers. So when Aureliano Buendía first sees and touches ice as a young boy, this is one more enchantment unfolding, amongst many others. That is why “discover” is an inspired choice: not only because it sounds and feels better, but because it is faithful to the world the novel creates; and it reflects that world more truly than any of the more literal possibilities. The paragraph hurdle, however, was another matter. On this, The New Yorker editors stood firm and faithful to their own house style. A glance at the original Spanish edition of “El otoño del patriarca” shows that García Márquez has chosen the rather unusual, and very arresting device of flooding the reader with wave upon wave of unrelenting, continuous prose, uninterrupted by paragraph line breaks, that spew out the life and atrocities of the patriarch and the sufferings of the people who lived under his tyranny. Because it is so beautifully woven together, linguistically it is in fact not so difficult to read, although the reader may be simultaneously overwhelmed and dazzled by the dark sorcery which enabled the tyrant to wield his powers for generations. Clearly, the absence of paragraphs was a deliberate decision of style on the part of the writer to reinforce the trance-like state that such tyranny can induce in its subjects. The editorial intervention did not stop there. One of the narrative techniques which García Márquez borrows from his hero, Faulkner, is shape-shifting, sometimes time-travelling, points-of-view that slip from one character to another, or between past and present, or between reality, memory and fantasy, sometimes within the same sentence. This demands attentive reading, to say the least. The editors at The New Yorker helpfully flagged some of these narrative twists and turns with changes in type-face. Should translators, or people who commission translations, be congratulated, or vilified, for dipping into this box of tricks in ways untapped by the original writer? A purist might consider such intervention an impertinence; an editor might see it as expanding the accessibility of the text using the resources commonly used in the target language. And it is true that different languages have different conventions of paragraphing, layout and also, punctuation, which mean that a translator may need to use devices that differ from the original, in order to create a similar effect for readers in another language. The New Yorker’s response, however, sounds like something different: more like an editorial decision to tweak the text, the better to meet their readers’ expectations – or the idea of those expectations. It smacks suspiciously of the translator/editor sprinkling a little fairy dust on the translated version to make it gleam a bit more brightly than the original. Of course, most of the time we do not have access to the author’s opinion about the translation of his/her work into other languages, if indeed the writer even knows the target language well enough to be in a position to comment with any authority. That said, the attitude of The New Yorker towards the use of certain words, punctuation and layout is proof, if proof were needed, of the spell which socially-constructed expectations can cast on both the process of translation, and on the final artefact. The alchemy of translation melds not only language and meaning, and the linguistic expectations of potential readers, but their social and cultural expectations, too. Much of the charm of magical realism in García Márquez’s world is the mundanity of the magical, which often embellishes supernatural happenings with the kind of trivial detail, sometimes physical, that is usually used to describe ordinary, everyday events, thus weaving an illusion of objectivity which persuades the reader to suspend disbelief. Yet for Gabo, the magical, incredible elements of magical realism only seem that way to people who do not know the life of the Caribbean. For those who were born there, the world view of exaggeration and fable does not stand for reality – it is reality. In “The Autumn of the Patriarch”, a dictator sells the sea, the Caribbean, to the US and the nation is for evermore in thrall to the interests of big business, bankrupted by the local vultures picking over its bones. In “One Hundred Years of Solitude” a drop of blood flows purposefully from the body of a man who has just shot himself, coming to rest at the feet of the dead man’s mother. Thus the terrible reality of the death of a son is announced, clothed in the stories of ghosts, omens, portents and supernatural happenings which Gabo heard at his grandmother’s knee: tales that tell a truth which here, is tragedy. But there is comedy, too. The bodily assumption of Remedios the Beauty into heaven happens one day at four o’clock when she is hanging out the washing. The fantastic extravagance of this and other events in the world of Macondo might appear to locate “Cien años” somewhere in the realm of the fairy story; that is, until we remember that in November 1950, when Gabo was a young man of twenty three, Pope Pius XII declared ex cathedra his infallible judgement of the Assumption of the Virgin Mary into heaven. For all Gabo’s poker face, and perhaps because of it, it is tempting to view some of the more outlandish elements of magical realism as a colossal send-up. García Márquez’s ultimate intention, though, is deadly serious, as the central event at the heart of “One Hundred Years of Solitude” eloquently proclaims. In García Márquez’s evocation of these tragic events, and especially their aftermath, the “magic” side of the magical realism coin is very definitely enlisted in the service of what is real; this is where his main purpose is found. This climactic section of the novel gives an account of “the events that would deal Macondo its fatal blow” and deserves special attention here, partly because a very small part of Rabassa’s translation of that section – just one word, in fact – has been challenged in great detail. In fact, one expert has written a whole article about it. As a process of in-depth analysis, that critique illustrates the potential power of a single word to illuminate or to obscure meaning on many different levels. It also offers a fascinating insight into the various layers of communication that the writer conjures up and to which the reader may respond, consciously or unconsciously, in interpreting the text, certainly in the original and perhaps in the translation as well, provided it succeeds in capturing those nuances. The debate about Rabassa’s translation of this description focuses on one single word: his choice of “whorish” world to convey the “puto mundo” of the original Spanish. This is a crucial moment in the novel when the cool, detached mask of the narrator slips to unleash an anguished cry of despair at the fate of his town and its people. The pivotal significance of this moment in the novel is one reason given to justify taking the scalpel to Rabassa’s choice of this single word – “whorish” for “puto.” Although that may seem like over-zealous attention from “Professor Horroroso,” and something of an exaggeration to place such a burden of meaning and impact on just one word, the critique delves into many of the layers of the alchemy of translation, including its social and cultural dimensions, and provide a fascinating insight into how these diverse elements can interact to produce meaning and impact on the reader – or not. The gist of the argument is as follows: technically, the choice of “whorish” for “puto” could be quite acceptable. A “puta” is a whore and as “puto” is the adjective made from that noun, “whorish” seems like a reasonable expression of the same idea in English. However, the issue here is not one of linguistic accuracy; it is something far less tangible, and perhaps all the more significant. Through a combination of tone, register and atmosphere, the original Spanish evokes a sudden intrusion of the narrator’s emotional reaction to the events he witnesses. This effect, the critic argues, is absent in the sanitised, somewhat clinical English phrase used to translate “puto mundo”. Except there is something else that is even more real: the cover-up, the denial that what happened actually happened. In the aftermath of the strike the authorities declare that there weren’t any dead. There weren’t even any workers, because, technically, the company had no actual employees, only casual labour. Nothing happened, nothing ever happens in Macondo, the happy non-workers left the square and returned home in peaceful groups, the truth is magicked out of existence with no talisman other than the power of words. But language is the most powerful talisman of all, and in Macondo it is enlisted in the service of the black arts that distort, transform and deny reality until the truth, like the dead, vanishes in a puff of smoke. Yet José Arcadio Segundo knows that hundreds, thousands of people were massacred on that day, were transported on a death train that sped towards the sea, where they were dumped, for he woke up on that train himself surrounded by their bodies. But then, the townspeople who are left have their hands full surviving the torrential rains that last four years, eleven months and two days, conjured up by the bosses of the multi-national banana company which, decades earlier, had invaded Macondo, taken over the town, bloated its economy, colonised it with foreign oligarchs and their families, ruined the environment, and enslaved the people. The rains provide cover for the company to abandon the country and they also wipe out any lingering memory of the terrible events, the destruction and the loss of vitality that accelerate Macondo’s decline and final decay. Here, García Márquez’s magical realism peers out on a world in thrall to evil and beguiled by lies, with the collusion, conscious and unconscious, of those who ought to have been its witnesses. This is not fiction. Or at least, it is not only fiction. On December 6th, 1928, a year after García Márquez’s birth, striking workers employed by the United Fruit Company, a US multi-national, were gunned down in the town square of Ciénaga in the north of Gabo’s home country of Colombia while waiting to be addressed by the governor after Sunday Mass. The general who gave the order claimed to be acting on the instructions of the United Fruit Company itself, to avert an American invasion by US warships waiting in the bay, ready to protect American interests. The number of casualties of the Banana Massacre, as it is called, is not known for certain even today. All that exists are estimates, which range from a total of forty seven fatalities to two thousand, depending on the source . So, it turns out that novelists are not the only people who can do what they want, as long as they make people believe in it. Politicians, governments, newspapers, are also adepts at the alchemy of translating reality, rewriting it, making the illusory real, and vice versa: what today we might call propaganda. Or spin. A novel may be an invention, but a good novel translates reality into art in order to tell the truth. The fiction of Gabriel García Márquez shines a light on oppression and bears witness to its consequences, thus revealing reality more truly than the history books or the newspapers. His magic is in the service of reality. Although many of the reflections made here on the translations of García Márquez’s work have focused on objections and challenges to specific elements of the English texts, it important to emphasise the hugely significant service which the work of Rabassa and Grossman has made to millions of English-speaking readers in giving us access to the greatest writer in Spanish since Cervantes. Some critics would go much further and credit the creation of the Latin American Literary Boom, which includes Julio Cortázar, Mario Vargas Llosa and others, to translation – thus, creation and transformation on a world scale. 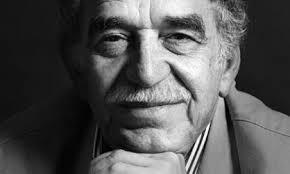 Happily for Gabo’s readers and for his translators of the future, the creative work of translation, though touched by magic, is not carved in stone. Alchemy, yes – but not the elixir of eternal youth. This article first appeared in Colony in October, 2014. Hoeksema, Thomas (1978) “An interview with Gregory Rabassa”, in Translation Review, Vol 1, 1978. http://translation.utdallas.edu/Interviews/Rabassaby_Hoeksema.html, Accessed October 6th, 2014. Jasso, Damon (2004) Historical Backgrounds: the United Fruit Massacre and Márquez’s One Hundred Years of Solitude http://www.class.uh.edu/courses/engl3322/djasso/, Accessed October 6th, 2014. Salisbury, Maria Cecila (1993) “The making of a translator: an interview with Edith Grossman,” in Translation Review, Vol 41, 1993. http://translation.utdallas.edu/Interviews/EdithGrossmanTR_41.html, Accessed October 6th, 2014. Vargas Llosa, Mario (2002) La Verdad de las Mentiras Madrid: Santillana Ediciones Generales. Kennedy, William (October 31st, 1976) “A Stunning Portrait of a Monstrous Caribbean Tyrant,” The New York Times Books. http://www.nytimes.com/books/97/06/15/reviews/marque-autumn.html Accessed October 9th, 2014. Parini, Jay (March 8th, 2007) “The greatness of Gabriel García Márquez,” The Guardian Books Blog. http://www.theguardian.com/books/booksblog/2007/mar/08/thegreatnessofgabrielgarci. Accessed October 9th, 2014. The Literary Man (May 2, 2012) “Gabriel García Márquez: a Tale of Two Translators.” http://literaryman.com/2012/05/02/gabriel-garcia-marquez-a-tale-of-two-translators/ Accessed October 9th, 2014. Vox, Thursday September 4th, 2014, “He’s universal: a eulogy for Gabriel García Márquez, from his translator.” http://www.vox.com/2014/4/20/5628860/hes-universal-a-eulogy-for-gabriel-garcia-marquez-from-his-translator. Accessed October 9th, 2014. Gabriel García Márquez (1967) Cien años de soledad, Digital Edition: Random House March 2012. Gabriel García Márquez (1978) One Hundred Years of Solitude, London: Pan/Picador Books. Translated from the Spanish by Gregory Rabassa, 1970. Gabriel García Márquez (1981) Crónica de una muerta anunciada, New York: Vintage Espanol. Gabriel García Márquez (1983) Chronicle of a Death Foretold, New York: Knopf. Translated from the Spanish by Gregory Rabassa. Gabriel García Márquez (1975) El otoño del patriarca, Barcelona: Random House. Gabriel García Márquez (1976) The Autumn of the Patriarch, Digital Edition: Penguin Books, 2014. Translated from the Spanish by Gregory Rabassa, 1970. Wellington: Victoria University Press, 2017. Seven years after his last collection, Bill Manhire, first poet laureate of New Zealand and father of the creative writing programme at Victoria University, from which he is now retired, has produced this beautiful collection. to try and say the noises. By focusing on a tangential detail with such distilled language, the larger context of war is intensified. 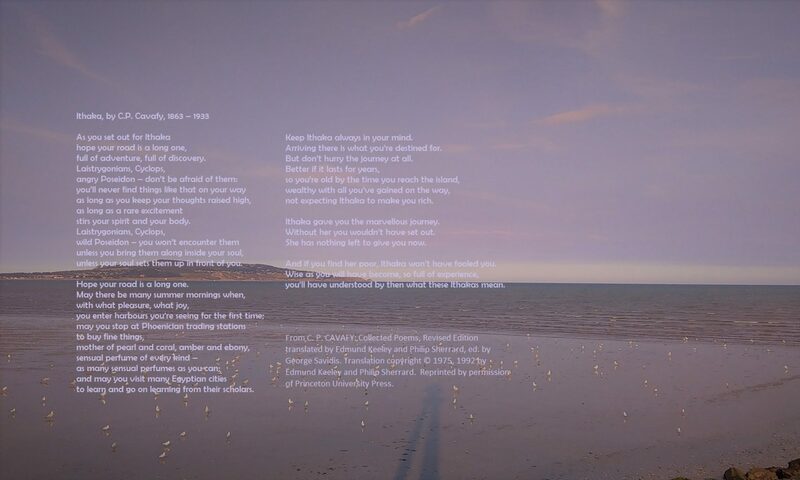 Other poems in this sequence are set further afield – Cairo, Dunedin, Taieri Mouth – making the experience of war universal. Equally understated is the sequence ‘The Beautiful World’, where beauty is bound to mercurial moments. We are given glimpses, enough to make us think we understand, but then the moment that we thought would define beauty vanishes into the past, into a book, among trees. Sometimes, the moment is threatening; men shout and want to break down doors. But they, too, leave. What remains is an essence of the moment, dreamlike – a memory that is charged with presence. we say to the days that disappear. There is also wit and humour in the collection, delivered in a jaunty conversational style, as well as autobiographical poems. The myriad moods are complemented by close attention to rhythm and the effect that rhyme and assonance can have on the overall momentum and force of a few lines. They are delivered in a variety of forms: sonnet, prose poems that could also be flash fiction, song, one-liners, a scathing take on the ‘Election Address’ (delivered to the residents of End-of-the-Line). The diversity of form is suggestive of a poet who is not satisfied to sit on his laurels but cares about probing the possibilities of poetry. 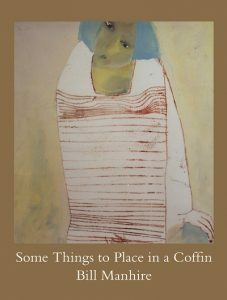 Curiously, the most significant poem in the collection, ‘Some Things to Place in a Coffin’, is perhaps the least gratifying in that it is a list of things, some tangible, some not. No doubt the items have personal meaning for the poet and his late friend, but for the reader (this one, at least) they lack the evocative note and delicate treatment that other poems have received. Nevertheless, the collection has everything that good poetry should have: simplicity coupled with surprise, striking imagery, thought given to space on the page, a lightness of touch that takes us to serious depths, all elegantly crafted and ultimately a delight. Kate Camp is an award-winning New Zealand poet whose sixth collection, “The Internet of Things,” is an arresting fusion of the everyday and the numinous. 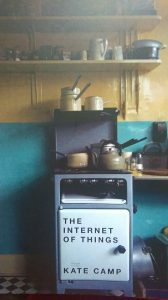 The title is mischievous, for the internet we encounter in Camp’s realm is not the world wide web of search engines and social media, but the interconnections of memories, desires and regret, murmured to the reader as though speaking quietly to an intimate friend. And the ‘things’ are not the high-tech appliances that will soon fill our smart homes – robots to clean the windows, fridges to monitor our diet. Rather, they are the artefacts of a simpler time and place, evoked in the cover photograph of John Lennon’s family kitchen, stacked with old oven and enamel pots and pans of a familiar, comforting past. One aspect of Kate Camp’s gift is to make the familiar strange, melding the mundane and the mythic. A gathering of friends, ephemeral yet caught in memory, recalls the trick a friend played at the end of a game of badminton with four shuttlecocks “all at once/they flew from the racquet as magician’s doves/to the net where they hung, white in the dusk;” a poached egg at breakfast “for disappointed hopes and poached eggs/go hand in hand;” and yes, a new-fangled item, an electric car which startles the reader as much as it seems to bemuse the writer, along with the “surprisingly large swans.” And the joy of recognition in a Rembrandt “And there they are!” is not for the sublime alchemy of the master’s “cross-hatched lines /of shade” or the “world of depth/of leaves and branches” that they evoke but for “The slippers of St. Jerome/like those white towelling freebies from a hotel.” In the poet’s idiosyncratic vision, the most eye-catching feature of the saint’s companion lion is his “two or three sweet whiskers.” Though in the next poem, which ventures an interpretation of the same painting, she wonders “what would stop him turning from his post/and taking Jerome in his mouth like a joint of meat…” The everyday, the familiar, may be comfortable and comforting, but it still has the power to devour you. The sense of resignation that opens the book does not last. Instead, it gives way to wry musings on the uncertainties that lurk under the surface of the web of what-might-have-beens: “This would be cherry blossom time/if there were any cherry trees here/if there were any blossoms.” And the internet we readers know, the one we use to do searches and shopping, is not completely absent. It is “out there somewhere/full of abandoned carts.” A glorious image of forsaken supermarket trolleys, clattering around in cyberspace. In the final poem, “Antimony,” the predictable and the uncertain are fused: the poet is a woman on the prow of a ship, finally rooted in the “reckoning point” of an eternal present, where she sees “everything in front of me/and everything behind me” . It is a satisfying ending to the ebb and flow of memory and feeling. The tension of this simultaneous backward and forward movement is conveyed in the poet’s subtle craft: lines long and stately, interspersed with staccato phrases and rhythm; assonance, rhyme and half-rhyme an invisible scaffold, holding the spider’s web of this internet of things together in quiet, slow-burning harmony.